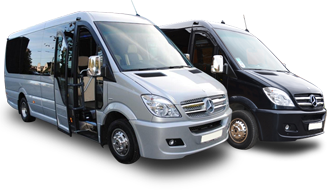 MTS provided 24 hours airport transfers (minibus & taxi service) for all London airports to and from anywhere in the England.MTS prices are fixed and 35% cheaper then the metered cabs that you hire at the hire at airports, seaport or on the streets. Our main aim to offer reliable and safest transfers service to our customers at cheapest price. We constantly monitor fuel price to ensure providing cheapest price in the market. We offer money back guarantee to our customers; if you can find a better deal, we will match or even beat it. We also offer taxi service to events such as cooperate events, day trips and London Tour, Cambridge, Oxford, Bath, Window Castle and other destinations in England. Our Fleet include a wide range of vehicles include saloons, Estates, MPVs, Minibuses drive by fully trained, certified and licensed drivers. MTS keep tracking fights, so you dont need to worry if your flight are late as our driver getting real time flight information, so there no addition cost you have to pay if your flight are delayed. MTS meet and greet service can be arrange when book your taxi with us, in this case our drive will arrive at the airport with the passengers name or company name, whichever suite your needs. This server is suggested to those who visit UK first time. We take port pickup bookings; MTS drivers can pick our customers from any ports such as Dover, Harwich, Portsmouth and Southampton. This make our customer satisfied that they would be in safe hand while reach dry land.